Craig Stanford is Professor of Biological Sciences and Anthropology at the University of Southern California. 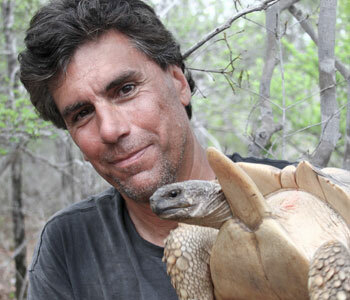 He has conducted field research on chimpanzees and other animals for 30 years in Africa and Asia. He is best known for his research on chimpanzee hunting and meat-eating in Gombe National Park, Tanzania, in collaboration with Jane Goodall. Stanford holds a Ph.D. from UC Berkeley and is the author of 16 books and 150 articles on animal behavior and conservation. His research has been supported by numerous grants from the National Science Foundation, the Fulbright Foundation, and the National Geographic Society, among others. His most recent book is The New Chimpanzee: A 21st Century Portrait of Our Closest Kin. He is deeply involved in wildlife conservation and lectures around the world on the need to preserve biodiversity in all its forms.